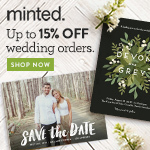 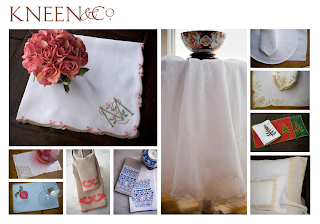 Honey Bee Weddings: Kneen and Co.
Kneen & Co. houses an assortment of fine gifts and also offers another option for a Bridal Registry. 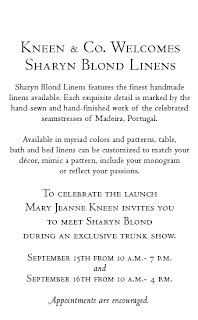 They are hosting this special event to showcase a new line of linens by Sharyn Blond. The linens shown look lovely and the event would be a great opportunity to check out the shop.